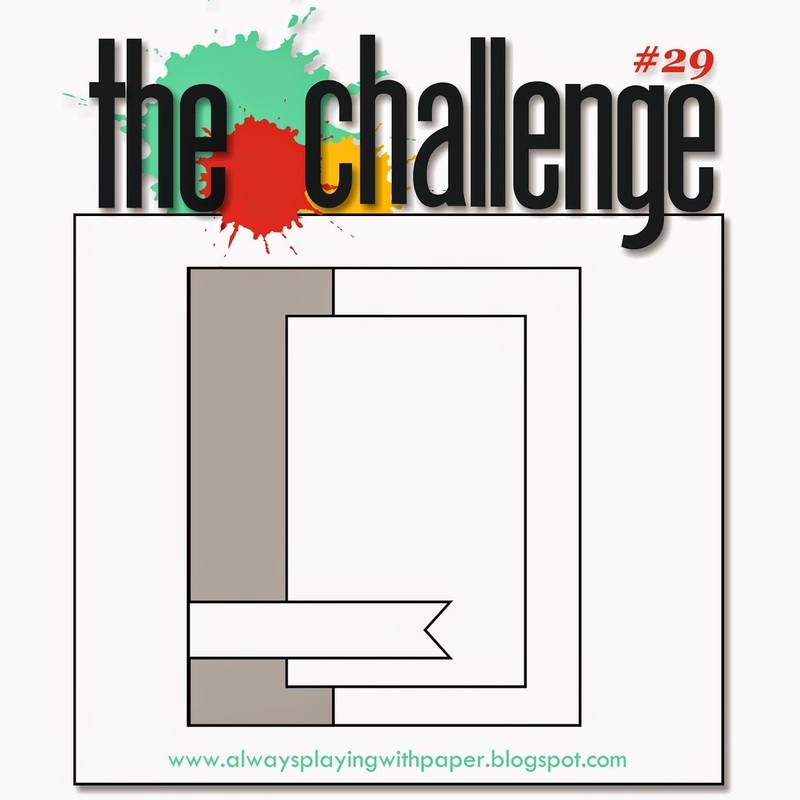 Browsing the challenge circuit and Simon Says Stamp Flickr is looking for watercolors in their challenge. Does it look like watercolors? It's not! I'm not even going to tell you what I used or how I did it....I know, I'm awful! Make sure to sign up to receive my emails (Stay Updated...in the right column) so you don't miss this technique. wow! SO bright colours! I love this card - great project!!! This caught my eye right away, Penny. I LOVE IT! Absolutely stunning creation, so unique, bold and artsy. Thanks so much for sharing this beauty with us at The Challenge! Oh what fun texture, colors and design. This is marvelous, Penny! 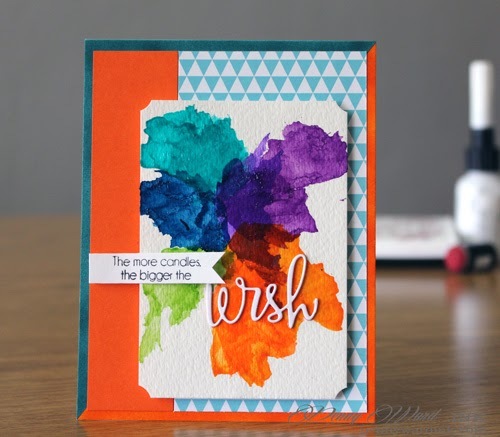 The colours pack a punch and the die cut word is beautiful! 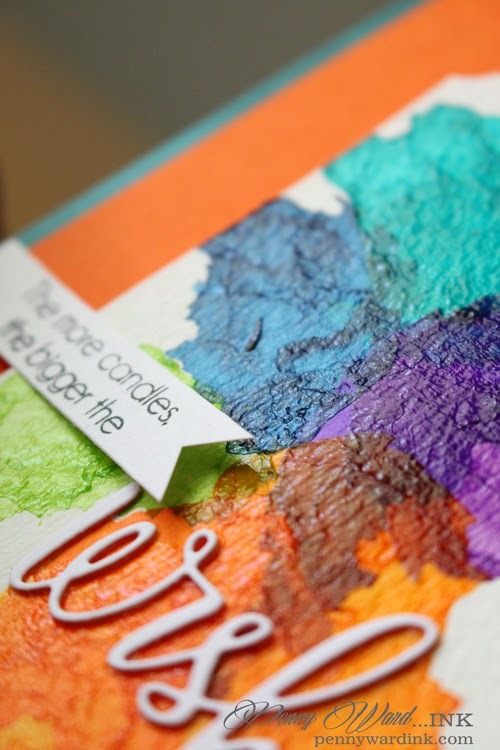 I love handwritten sentiments like that! Thanks for joining us at The Challenge! 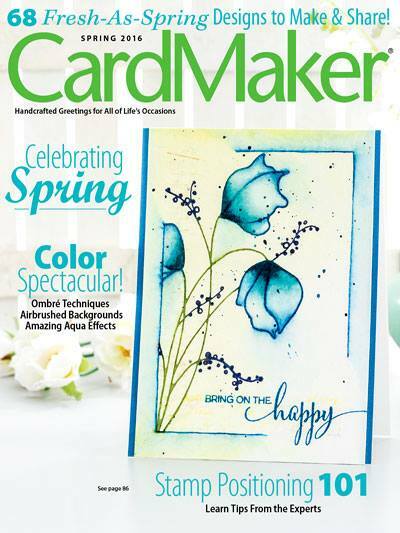 Beautiful card bursting with an amazing infusion of strong, vivid colors!!! Just so well done!! !